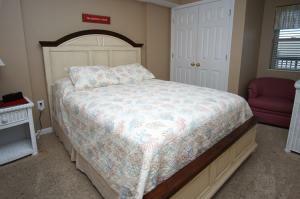 From the moment you drive up to The Ashworth Resort you will feel relaxed. 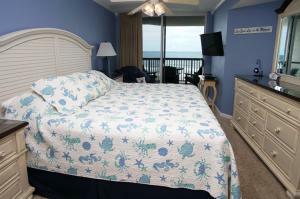 This North Myrtle Beach resort offers many amenities to provide a comfortable beach vacationt for your family. 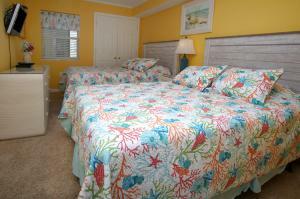 Ashworth 608 is a large oceanfront vacation rental with three bedrooms and three baths. 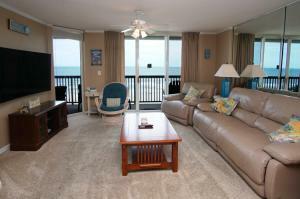 Walk in the door and you will immediately be welcomed by an oceanfront view from the far end of the living room. A sliding glass door and windows bring the outside in at this condominium rental and the blue sky meets the ocean from this sixth-floor vantage point. 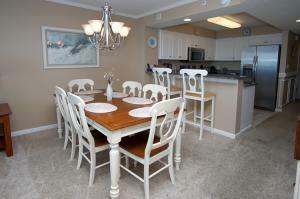 The kitchen in this North Myrtle Beach condominium is nicely furnished with full-size appliances, cookware, dishes and even a dishwasher. There is a dining area next to the breakfast bar at Ashworth 608, which is a convenient for eating snacks and playing games. 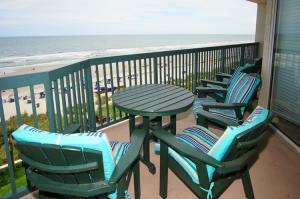 The oceanfront balcony of this North Myrtle Beach vacation rental is furnished with a table and chairs so you can eat breakfast outside as the sun comes up over the Atlantic Ocean. 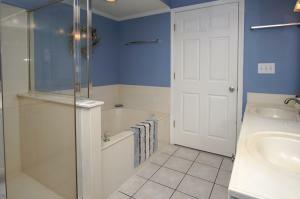 Rejuvenate in the Jacuzzi tub at Ashworth 608 and use the WIFI to get online and search for nearby North Myrtle Beach amusements and attractions. 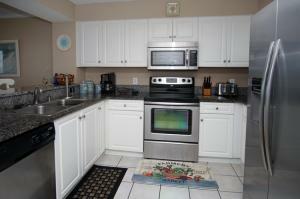 DVD players add to the modern conveniences of home and the granite counters make it feel luxurious. On-site resort amenities include an indoor and outdoor swimming pools, lazy river, hot tub and kiddie pool. You can walk to Main Street from this Ocean Drive location and visit a beach club or two where you might learn the famous shag dance. 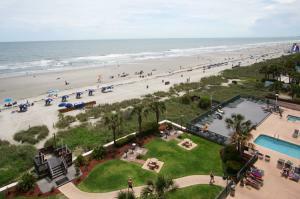 Myrtle Beach golf, shopping, dining and live entertainment theatres are all just minutes away from this oceanfront North Myrtle Beach, South Carolina resort.